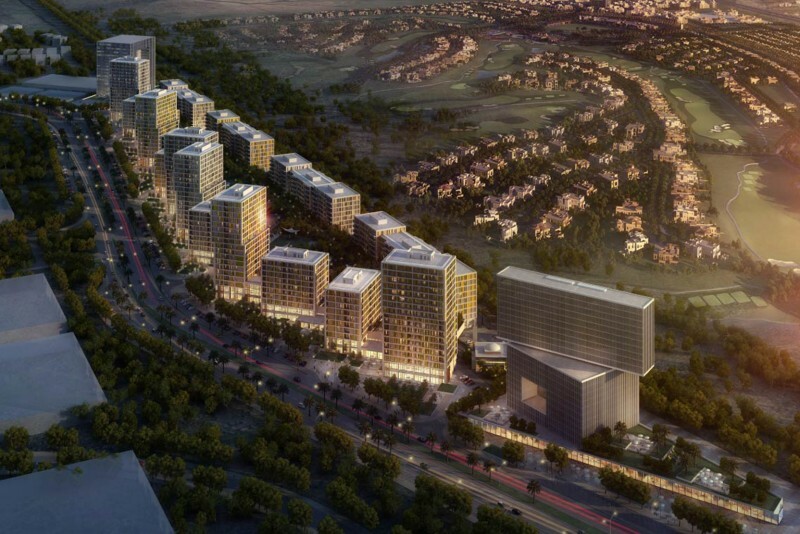 Vida Town Square Dubai is a proposed boutique hotel and serviced residences in the new Town Square project. The hotel marks a partnership between Emaar Hospitality Group, owner of the VIda brand, and master developer Nshama, a new developer founded by ex-employees of Emaar. Vida Town Square Dubai will feature 180 hotel rooms and serviced residences and will overlook the central park component of Town Square with easy access to over 600 retail outlets, a cinema, schools, healthcare facilities, cycling tracks and green walkways. The hotel will include a swimming pool, fitness facilities and a dedicated spa as well as restaurants, business centres and events venues. The hotel will feature an array of innovative services including smart technologies that enable guests to access all amenities at the tap of a finger through iPads and smartphones.